Yep. 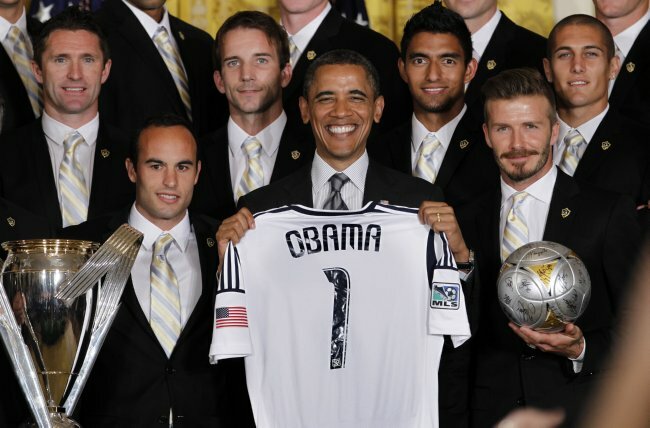 Robbie Keane’s finally made it to the White House. Is Becks looking to go to Hollywood and remake Robin Hood in the style of Errol Flynn? 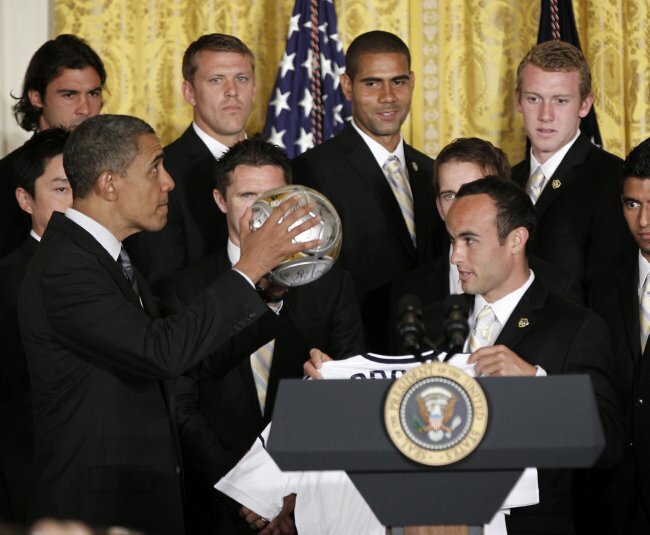 In the second picture, it seems as if the American instincts take over as Obama attempts to throw the football. 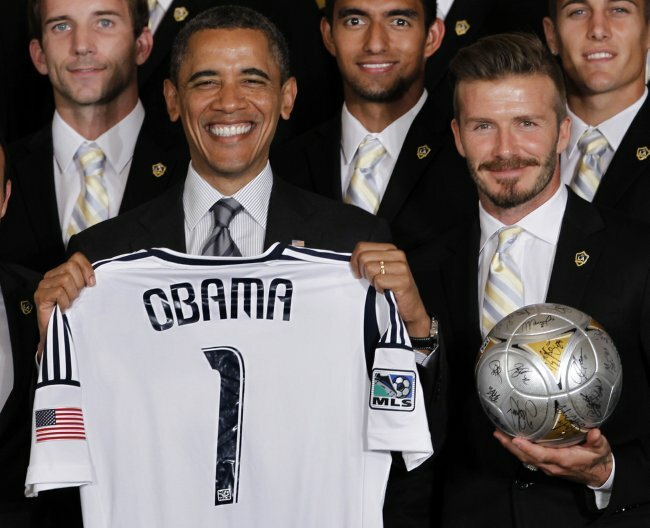 Americans love their ‘soccer’, don’t they ? 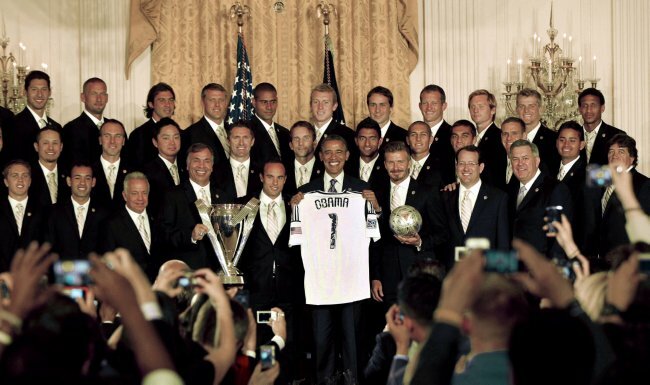 I’m pretty sure Bush didn’t invite the MLS Cup winners to the White House, but Clinton and Obama have. Democrats love their footy. Why does it say #1 and not #44 ? I see Victoria has been playing with her dressing-up box and David again, when will that girl decide upon an image for her fella that she’s happy with? One that will last more than two-weeks. This latest King Charles the 1st ‘sophisticated image’, doesn’t exactly compliment the disgusting tatooed ‘scribbling-pad’ he calls his body! Makes me wanna puke….All the snide laughs as Mr. President cracks a”funny” Someone press the blag laugh button and pass me the sicky bowl.